When faced with the onslaught of Muslim marauders during the first centuries of the second millennium, Hindu kingdoms and its subjects had, broadly speaking, three choices. The first option was to resist and fight to the last man. This was witnessed when Raja Ratan Singh of Chittor and his army fought to the last man against the army of Alauddin Khilji. The Rajput women, including Queen Padmini, committed jauhar rather than become part of the Sultan's harem. The Sultan had taken a fancy for Rani Padmini, and was determined to add her to his harem of thousands of women and slave boys, of whom the Sultan seemed to have a fondness in equal measure. The second option was to fight, and when victory was not possible, to submit to the ruler. This meant loss of freedom, the loss of much money, and at times religious freedom also. This was not as rare as one may be tempted to think. One example KS Lal cites should suffice by way of illustration - "... in Muzaffarnagar district there are 29,000 Hindu Rajputs and 24,000 Muslim Rajputs according to the 1901 Census. Similarly, there were Hindu Rajputs and Muslim Rajputs in almost equal numbers in many western districts of U.P." These Muslim Rajputs are the Hindu Rajputs who "loved their land more than their religion." On the other hand, the Census reports that 99.7% of the Chamar, 97.7% of the Ahir, 99.7% of the Kurmi, 100% of the Pasi, 99.6% of the Gadariya, 98.7% of the Kumhar castes (classified as the "low castes") were Hindu. Empirical evidence that the low castes were far less likely to succumb to the pressures or lures of conversion. The third option was to fight, and rather than lose life or liberty, to abandon the countryside and retreat to the forest. This is something that has been glossed over by leftist historians of India. I say "leftist" because India's official history and what has been and continues to be taught in schools and most universities throughout the country is based on the writings of Marxist, Communist, Socialist historians, who have chosen to view and interpret events through the lens of leftist ideology. This omission therefore attracts attention for more reasons than one. An act of omission this important is not one of coincidence or incompetence, though the charge of incompetence would not be an unfair one to level at India's eminent historians. Rather than theorize about the reasons for the omission, it would be more useful to look at this third option in some depth. Three things bear elaborating. Let us go back to what I had written earlier about Sultan Alauddin Khalji as a start. Malik Kafur is perhaps the most notable of all the slave paramours of the second ruler of the Khilji dynasty, Sultan Ala-ud-din Khilji. It is commonly accepted that the Sultan got infatuated with a young Malik Kafur's girlish charms, had him castrated, and bought him for a thousand dinars (it is unknown whether the sale took place first or the castration; it is immaterial in any case). Kafur would rise to the rank of a general in the Sultan's army, and eventually kill the Sultan in 1316. Equally notable a slave is Khusrao Shah (or Khusrao Khan, which was the title that the Sultan gave him). Khusrao was a Hindu converted to Islam. When just a child, he had been captured by Ain-ul-Mulk Multani (Alauddin's general and future governor of Multan) during his raid of Malwa (a region that includes part of western Madhya Pradesh and south-eastern Rajasthan) in 1305 CE, and gifted to the Sultan. 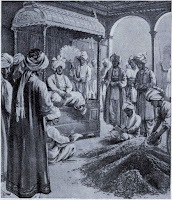 Fifteen years later, in 1320 CE, when the Sultan's son, Qutubuddin Mubarak Khalji, became the ruler, he took a fancy for the now grown-up Khusrao and made him his lieutenant and more. While "outwardly he surrendered his body to the Sultan," the "infliction of unnatural carnal acts" by the Sultan had bred resentment and anger. 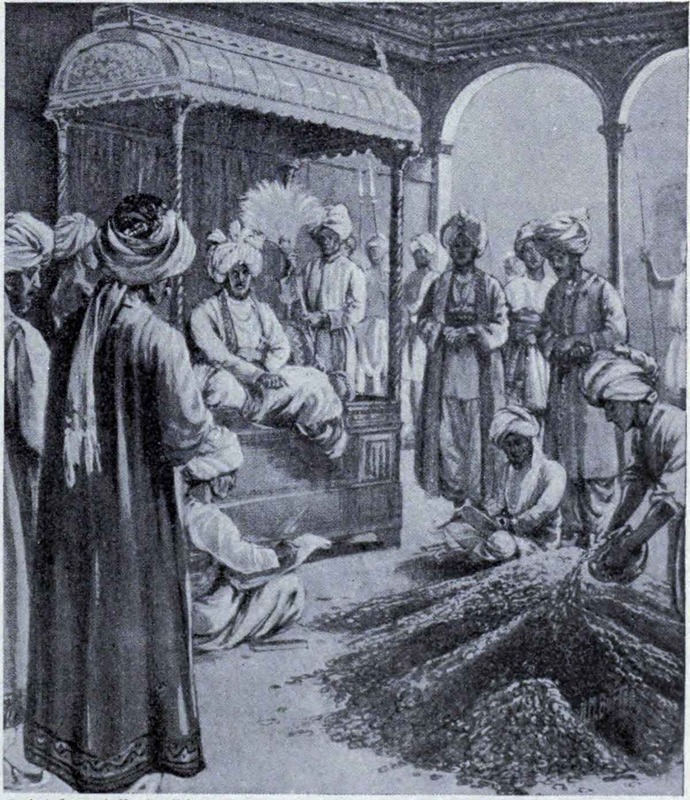 Later that same year, in September 1320 CE, Khusrao sought the help of his Barwari clansmen, had Qutbuddin killed, and "ascended the throne as Sultan Nasiruddin Khusrao Shah." Forty thousand Barwaris had trudged hundreds of miles to Delhi, answering to the call of their clansman, Khusrao. In Delhi, they helped plan and execute the assassination of Qutbuddin, which was followed by the "killing of the Khalji house, all the possible claimants to the throne." Why had the Barwaris answered the call of Khusrao? Who were the Barwaris? All chroniclers of the time, including Barani, Amir Khusrao, and Ibn Batttuta agree they had "low social status." The Barwaris carried the memory of the ravages of Alauddin's invasion of 1299 CE, where he had conducted wholesale "massacres in Anhilwara, Asavalli, Cambau, Vanmanthali, Surat, etc". The Barwaris had given the Sultan the epithet of "khooni" (murderous). They had seen the Muslims break their temples; they responded in kind in the four months they held sway over Delhi. "Copies of the Quran were torn to pieces and used for seats for idols which were placed in the niches (mehrabs) of the mosques." This short-lived "Hindu Raj" in Delhi however was put to an end when Ghiyasuddin Tughlaq "invaded Delhi, killed Khusrao and stamped out Barwari resistance." 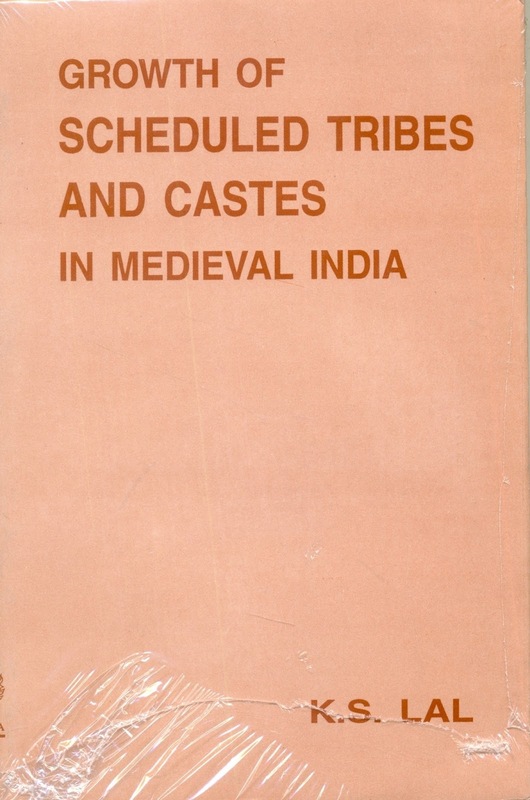 The Barwari resistance however remains "a very significant episode in the resistance of the low caste Hindus in the early history of medieval India." As a contrast to these facts regarding the state of slaves in the Sultanate, let's see what Abraham Eraly has to write in his book, "The Age of Wrath": "Being a slave in Muslim society, unlike in Hindu society, was not an insurmountable handicap or degradation, for all professional and political avenues were open to slaves, depending on their ability." Eraly's view is not dissimilar from that held by other eminent historians of the communist hue. "not a single Muslim chronicle ever says that social distinctions prompted low caste Hindus to abjure their faith and adopt Islam voluntarily. Alberuni, Abul Fazl and emperor Jahangir are some of the medieval writers who refer to the Hindu caste system in some detail. Jahangir indeed writes about the four-fold Hindu caste system or the Varnashrama Dharma in an appreciative vein." Clearly, Eraly and other such historians let their ideology get the better of their professional responsibilities. If we explore the third option in more detail, the second detail emerges - that the escape to the forests was not the end of the matter; rather it gave rise to an insatiable hostility against the invaders. The cost of encounters with the invaders was proving very costly to the various Hindu kingdoms. Hindu unity was and would remain a chimera, and victories were fewer than the losses. It is estimated that "during the first quarter of the eleventh century the loss of Indian population due to Mahmud's invasions was about 2,000,000." If you normalize it today's populations, we can say that approximately the number would be 20 million in today's terms. The slaughter of 2 million people was in just twenty-five years (or about two crore people in terms of today's population numbers). No nation, society, civilization could have survived this rate of decimation. But India survived. How? The answer is forests and rivers and hills. Whereas in 1950 one-third of India was forested, it would be no exaggeration to say that more than half of India was forested, and densely so, in medieval times. The link between forests and rains is also well established. Medieval chroniclers talk of rains in evocative terms. The sixteenth century invader, Babur, wrote - "Sometimes it rains 10, 15, or 20 times a day, torrents pour down all at once and rivers flow where no water had been." Rain was plentiful, there were no dams to artificially stifle the flow of water, and therefore forests would have been plentiful and dense. Therefore, the crucial question that remains is - is this theory of forests as a refuge for Hindus fleeing from invaders borne out by historical accounts? Unequivocally Yes. One such instance is the retreat of Rai Kulchand into the forests to escape Mahmud Ghaznavi. Another is the escape of Chand Rai into the forests to prevent conversion at the hands of Mahmud. But perhaps the most famous has to be that of Chittor, and on two occasions. The first instance is after the fall of Chittor to Alauddin Khilji, which led to the origin of the famed Gurkhas of Nepal! "Gurkhas are originally from Rajasthan, whence they migrated early in the fourteenth century after the capture of Chittor by Alauddin Khilji. 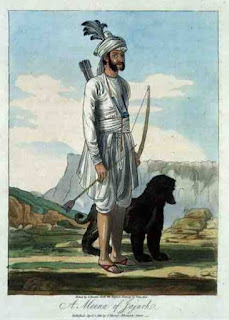 The Khasas, the Magars, the Gurungs and the Thakurs are military tribes. They are the descendants of the aboriginal tribes who intermarried with Rajputs and other Hindus who took refuge from Muhammadan conquest in the hills of Nepal in the twelfth century. ... These are Gurkhas and Gurkhalis." The tribes that took to the forests suffered greatly. Existence was hard. Mortality was high. Culture and arts were close to non-existent. History survived to some extent only through folk-songs. History of depredations they had suffered was kept alive. "whenever they found a chance they sneaked out from their hilly or forest retreats and waylaid Muslim travelers on highways. They targeted important persons in particular. For instance, when Bahram Shah defeated his sister Sultan Raziyah (1236-40) and her husband Altuniah at Kaithal, and they fell into the hands of Hindu peasants, the latter put them to death." Muslim chroniclers, and later British historians and administrators, would refer to them as "robbers", and the British would even classify entire tribes as "criminal" tribes, permitting their general genocide in the name of establishing the rule of law. The truth was starkly different. Yet one more tale of the destruction and its consequences wrought by the Muslim invaders would be instructional here. At the start of the sixteenth century, "from 1501 to 1505, Sikandar Lodi sacked Dholpur, a dependency of Gwalior." The real target was Gwalior's Raja Man Singh, the "greatest ruler of the house" of Tomar Rajputs. Raja Man Singh was not only "the founder of the Gwalior school of classical music" but also "is said to have revived the Dhrupad style" of classical music. Even the great classical musician Tansen was from Gwalior. The Lodi sultans and the invader Babur were able to destroy Gwalior "after persistent exertion for thirty years." The result? The people who were ousted "retired to the jungles and ravines on both sides of the the river Chambal." Does this strike a bell? The dacoits of Chambal were a scourge well into the twentieth century! Much was said and written about their robberies and turbulence they caused, but little about the roots of these infamous Chambal dacoits. "There are frequent references to the terror they inspired in the region of Etawah and Dholpur to the north and Gwalior and Narwar to the south of Chambal during the Mughal rule." "Muslim invaders and rulers had turned these civilized peace-loving people into highway robbers, or guerilla warriors as they were prone to look at themselves. It is significant that the local people even now hail has baghis (rebels) the outlaws whom outsiders call dacoits." Just how fierce this resistance was, and how sustained, can be gauged from the example of the Minas and Meos of Mewat. In the 13th century "Sultan Nasiruddin's Prime Minister Ulugh Khan (later Sultan Balban) undertook an expedition against the hilly country of Mewat where Hindu rebels used to plunder the property of Muslims and sack villages in Haryana, Siwalik, and Bayana." Ulugh Khan put down this rebellion and killed more than 12,000 Mewatis. Later when Balban ascended the throne, the Mewatis continued their resistance, and would raid the capital city of Delhi whenever they got the chance. Despite Balban's efforts that lasted more than a year, during which he cleared the surrounding jungles, he could not completely put down the Mewatis. Despite losing more than one lakh of his soldiers. Despite building "strong outposts" which he had "garrisoned with ferocious Afghans." Despite the later Sultan Alauddin Khilji making a "minar on the skulls of 30,000 Meos to dissuade them from sacking Delhi." Yet the resistance continued. The third and perhaps a stunning insight that can be gleaned from this resistance is also one that is very valid and topical even today. Historians - the leftist historians, to be clear - continue to parrot the oft-repeated myth about "tax reforms" that were instituted by Sultan Alauddin Khilji. Some call it "economic reforms", some others give it even more grandiose-souding titles like "Land Revenue Reforms" and so on. What is the truth about these tax reforms, and how does it tie in with the theme of retreating rulers and peasants alike taking refuge in forests to escape from the invaders? It's a fascinating tale! In the face of continuing Hindu resistance to Muslim rule, "Alauddin and his advisers arrived at the conclusion that it was "wealth" which provided motivation and sinews of rebellion and disaffection. The people, therefore, must be impoverished." This bears repetition. "The people, therefore, must be impoverished." The biggest "tax reform" credited to Sultan Alauddin Khilji is that he fixed the tax as half of the agricultural produce. What was his motivation in doing so? "The Sultan ... 'directed that only so much (of the produce) be left with his subjects (raiyyat) as would maintain them from year to year ... without admitting of their having articles in excess.'" In addition to the fifty per cent of the agricultural produce as land tax, the Sultan also "imposed house tax, grazing tax and many other cesses." This is not very dissimilar from modern-day governments of India that impose innumerable cesses and taxes over and above the income tax that is charged from the citizenry. "One, that when the crop got ready for harvesting, the revenue collectors arrived with retainers or retinues of troops, cut the government's share of the crop and took it away. ... The other was that the cultivator cut the while crop, stored it in bags, and when the government collectors arrived, they took away the government's share leaving a bare minimum with the peasant for his sustenance." The first is equivalent to the modern-day TDS (Tax Deduction at Source), while the second is the direct-debit of taxes from a person's savings account. Again, we see no difference in the extortionist tax policies adopted by a murderous, rapacious sultanate a thousand years ago and what is followed by supposedly modern, democratic governments today. To ensure compliance, the "tax collectors were always accompanied by armed men." "there should be left only so much to the Hindus that neither on the one hand should they become intoxixated on account of their wealth, nor on the other should they become so destitute as to leave their lands and cultivation in despair." The zamindars, peasants, villagers would resist where they could, pay meekly most of the time, and as "a last resort," would flee into hills and forests. They "joined the ranks of what today are called scheduled tribes and backward castes. Those who fled into the forests included all groups of people - Rajas defeated in battle, Zamindars unable to pay taxes, and pauperized peasants." In reconstructing the history of that turbulent period, KS Lal had to rely on two sources. The first comprised the works of chroniclers of the Muslim rulers, who however were intent on "eulogizing their conquerors and kings no end." The second were the "traditional accounts of tribals singing the praise of their victories over attackers and oppressors." This yields an "interesting, though somewhat disjointed" history.